Kevin Smith Transportation Group is a Luxury Transportation company that services the entire Greater Philadelphia, PA area. KSTG delivers services daily in Bucks, Chester, Delaware, Worcester and Philadelphia counties. This includes more than 300 cities, towns, boroughs and Providences across the area. One of the places a KSTG vehicle will regularly service is Worcester Township, PA.
Kevin Smith Transportation Group delivers both Leisure and Corporate Transportation services in Worcester Township, PA. KSTG’s Leisure division will often be seen sending out a Wedding Limo or Wedding Shuttle on most weekends. Service requests for a Limo or Party Bus for a Night on the Town or a trip to Philadelphia, PA for a concert or show is very common and popular for those who live in Worcester Township, PA. The exciting requests for a Party Bus to the Manhattan Cruise Terminal or a night out at the casinos makes for a great night. If you are fortunate enough to work for one of the amazing companies in Worcester Township, PA, then you may require the services of Kevin Smith Transportation Group and our Corporate Transportation division. Airport Transportation is a common service request with Philadelphia International Airport (PHL) located so close to Worcester Township, PA. However, with nearly a dozen International Airports in the Mid-Atlantic area, many companies will utilize KSTG’s services for Airport Transportation to Newark International (EWR), Kennedy Airport (JFK) or other points north or south of the Philadelphia, PA area. Other Corporate Transportation services that Kevin Smith Transportation Group offers companies in Worcester Township, PA include Shuttle Services. This may be needed for moving employees to local SEPTA stations for both their morning commute and returning home in the evening. KSTH Sprinters and Mini Buses are popular vehicles for this service. Some companies, with offices or clients around the country, often have employees traveling through local FBO’s. When Private Aviation is utilized, KSTG Cadillac XTS’s and Black Yukon’s are often seen transferring employees from their offices in Worcester Township, PA to those local FBO’s including Northeast Philadelphia Airport, Doylestown Airport and Wings Field. Many companies in Worcester Township, PA have been pushed by their Senior Management or Counsel’s office to follow strict Duty of Care requirements with their employees. This means that the days of using an unregulated Black Car Service for Corporate Transportation services is no longer allowed. For Kevin Smith Transportation Group, this means that our Black Car Service division, including our fleet of Cadillac XTS’s, Black Yukons and Black Infiniti’s, are regular visitors to Worcester Township, PA.
Worcester Township, PA is a township in Montgomery County, PA. The population is estimated at 9,750. The Anthony Morris House and Peter Wentz Homestead are listed on the National Register of Historic Places. Peter Wentz Farmstead is a historical German American farm which has been continuously farmed since 1744. 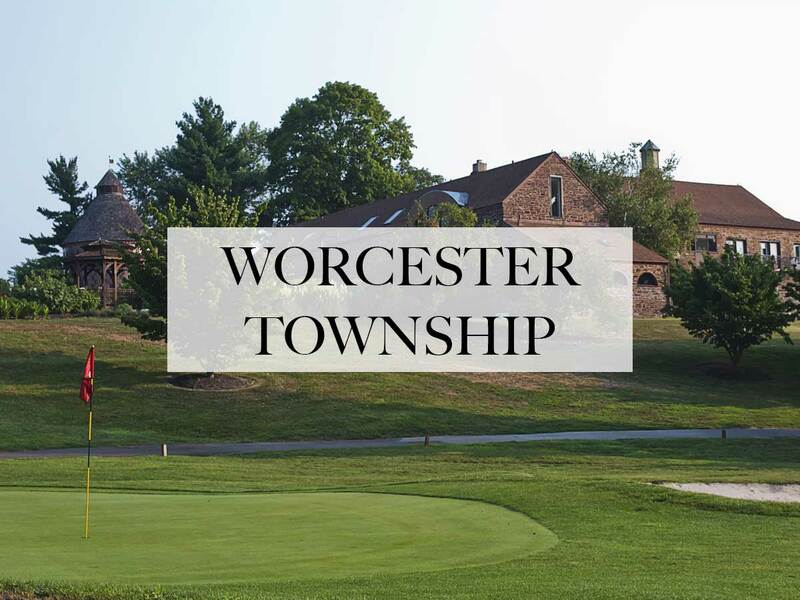 It is located in Worcester Township, Montgomery County, PA near Lansdale. The first family to till this land was Peter and Rosanna Wentz (both 1st generation) and their 6 children. Peter inherited the property from his father who may have purchased it as early as 1710. It was sold to Dewalt Bieber in 1784 and then to Melchior Schultz, a minister of the Schwenkfelder faith, in 1794. Schultz family descendants owned the home until 1969 when it was purchased by the County of Montgomery. The Georgian style mansion was built in 1758 and is a large 2 1/2-story, dwelling with attached summer kitchen and bake oven. The main house consists of two floors with four rooms and a large hallway on both, a cellar with a spring house and a full attic. The front facade is built of dressed red sandstone and the remainder of the building is built on uncut sandstone. Nearby is a red building that has a visitor center with restrooms and a gift-shop and employees offices upstairs. Also on the property, there are many reconstructed outbuildings; Privy, smokehouse, woodshed, ice-house, barn, chicken house and sheepfold. Currently the farm has sheep, cows, pigs, horses and chickens. The house served as headquarters for the Commander-in-Chief of the Continental Army George Washington before and after the Battle of Germantown, October 2–4 and 16-21, 1777. His Excellency did not travel alone. He had a staff of 9 military secretaries or aides-de-camp, a dozen servants and his personal guard unit, the Commander-in-Chief’s Guard. That unit consisted of 60 infantry soldiers and 3 officers. Washington set his 12,000 strong army 2 miles south on top of the Methacton hill to be in striking distance of the 8,000 Crown forces in nearby Germantown. By October 20 news arrived that the fortifications and breastworks around Philadelphia were completed, the British abandoned their outpost in Germantown. Washington responded by moving his troops within a half days march of Philadelphia. Whitemarsh or Fort Washington was chosen as it was 15 miles away. The entire team at Kevin Smith Transportation Group is proud of our partnership with every company, venue and person from Worcester Township, PA who chooses KSTG as their #1 Transportation Company. We believe our priorities around luxury helps us deliver our services for everything from a once in a lifetime Wedding celebration to supporting our Corporate clients who require use of our Shuttles and Sprinters for a company event. With Worcester Township, PA and KSTG working together, we are confident KSTG vehicles will continue to support the entire area for years to come.